The beauty of a wall mural is shared with an entire community. Locals and tourists are rewarded with the enticement of magnificent art without stepping foot into a gallery. Milledgeville is home to numerous murals, enjoy these below and share with us your favorites! 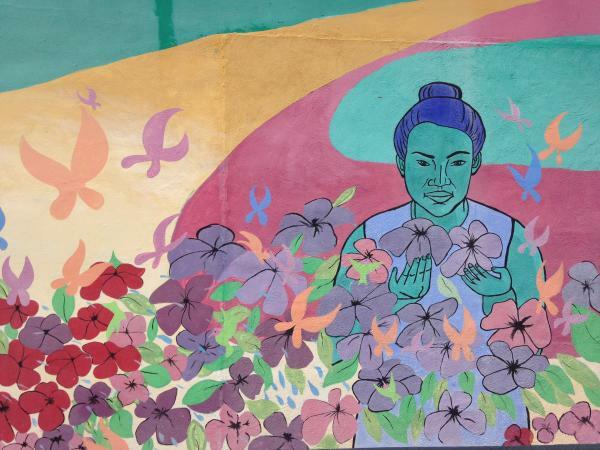 This colorful piece is located on Jefferson St. and depicts peace and wellness in life. It&apos;s painted on the side of a health center, and persuades its customers to live an active and peaceful lifestyle. This is an older mural of Milledgeville, and probably one of the more recognizable murals because of its bright colors and significant content. 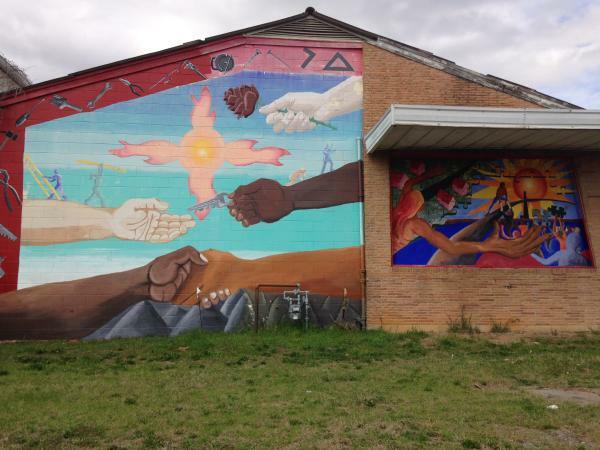 This mural is located about two miles outside of Milledgeville in the Harrisburg community. A Georgia College Sociology class, along with an Art class, came together last February and designed and painted this mural. 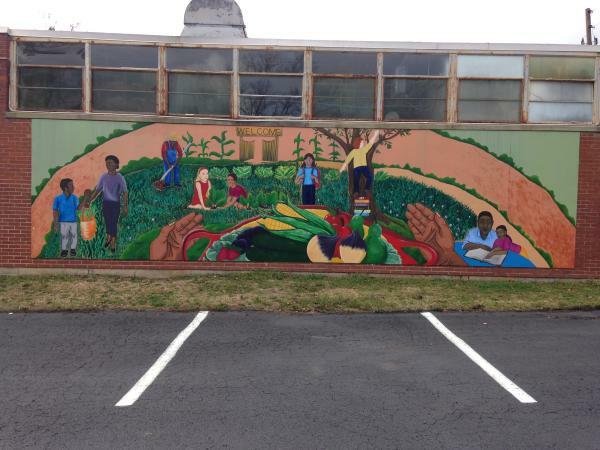 With help from the Harrisburg community members, they were able to finish this piece in about four months. Harrisburg has recently implemented a community garden program as well, where children and adults in the community can grow any type of produce or vegetable they want with the help of master gardeners. 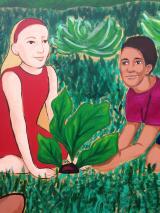 This mural depicts the friendships and growth that can happen within a community garden. This mural is located on North Columbia St. right before you get into the heart of Milledgeville. It is painted on the side of a small Spanish store, full of sweets, treats and authentic food from South and Central America. This mural was painted about two years ago by an Art class at Georgia College that was made up of about 8-10 students and one teacher. The students worked over the spring and summer to finish this mural, which depicts the yummy foods produced south of the border. Its vibrant colors catch a passerby&apos;s attention and draw them into this sweet little "tienda." Located on N. Wayne St., this beauty sits on the side of the Habitat for Humanity Milledgeville headquarters. Habitat for Humanity hired Georgia College art professor, Valeria Aranda, as well as a group of her students, to create this piece. It symbolizes unity and equality between all races, here in Milledgeville and in the world. It also shows the tools it takes to make a change and how peaceful equality can be. This mural is in the works of being updates, by restoring the original colors and fixing a few chips of paint that have occurred over time. 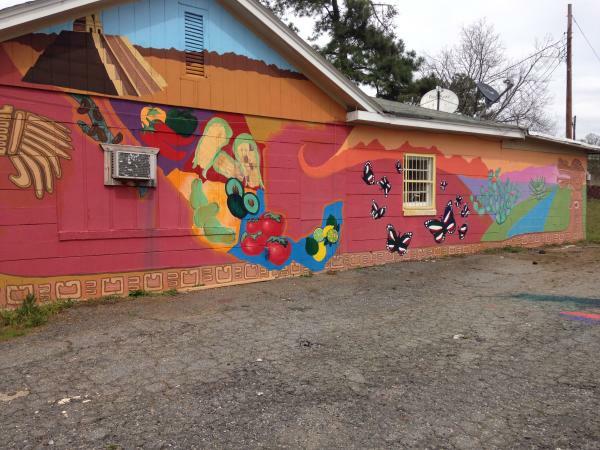 What are some of your favorite murals around Milledgeville? Share them with us on Twitter and Instagram using #muralsofmilly. We&apos;ll retweet and regram the best ones!